What about fall’s rise stokes such fire in our lives, year after year? Is it a Rick Porcello four-seam fastball? Or perhaps a Tom Brady play-action touchdown pass to Josh Gordon? The answer is yes. Although in different ways than in previous years. With the Red Sox set to do battle with the Houston Astros, Boston faithful find their most immediate championship dreams rest on the shoulders Alex Cora’s collection of elite pitchers and timely hitters. Meanwhile, the Patriots, once the standard for excellence not just in football, but in sports, own a 3-2 record, in a deadlock currently with division rivals Miami. One of the two losses is a resounding defeat to the Detroit Lions, led by Belichick’s old protégé, Matt Patricia. That sentence alone could incite diehard fans to reach for a tomato purposed for projectile use. And yet, shouldn’t. Standout talent like Baker Mayfield points to the youth movement in the NFL, one which veteran rosters attempt to keep pace with. The Giants one-sided loss to Philly provides the perfect example of how teams with aging quarterbacks fail in measuring up. Two-time Super Bowl MVP, Eli Manning is a glaring liability on that team. That team achieved greatness, twice, versus the Patriots, who stare down the barrel of their own existential crisis. In the land of Kraft and Belichick, excellence is the minimum standard of operation. A couple weeks ago, that seemed like an outdated rule, with the Pats suffering back-to-back losses. 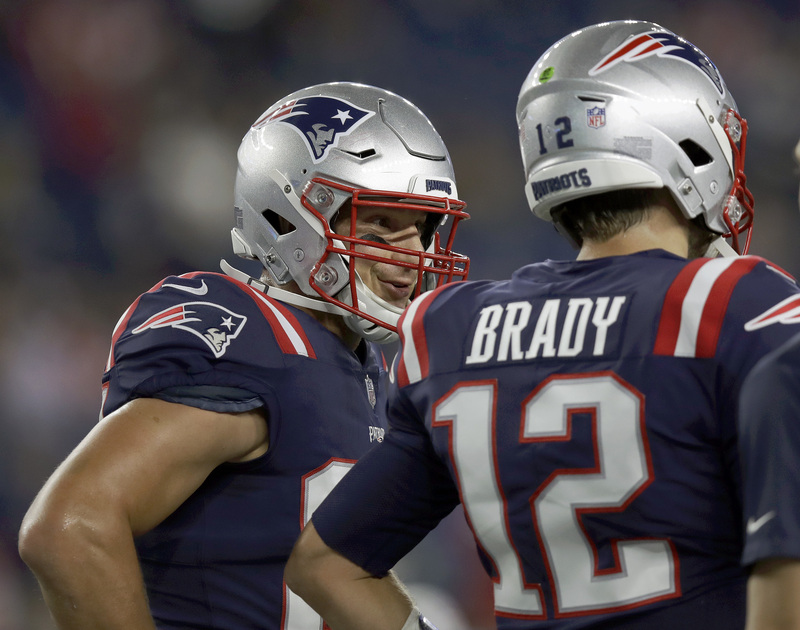 But then, like a Phoenix rising from the natural grass, Brady led his team back to winning ways against bitter foes Miami, and Indianapolis. Clearly, we’re well versed in Tom Brady’s controversy, and his creeping age. I personally wrote articles on those topics too, but how long can this continue? No one knows. What we do know, however, adheres closer to the notion that this team represents the last of a dying breed, the franchise dynasty. New England’s trending towards a lower echelon manifests primarily in the stats book. Whereas if you check ESPN or just about any other resource, the Pats are absent from the top ten in passing yards and TD receptions. I guess if you’re winning, throw these statistics away with all the rest of the overhyped numerals. But, with the division already up for grabs, they’re fixing to matter a hell of a lot more, and soon. Of course, that statement borders on hot take station, oh well. But the truth resonates in that teams just know how to prepare for New England now. Better than in the past, because they’re more equipped, and championship success demands multiple dimensions. Kansas City travels to Foxborough, possibly by the time you’ll read this; so we’ll see in short order the dividends a well-prepared team yields against Brady’s Bunch. I would like to make one thing clear: New England is a very good football team. It’s just that genre is more populous today. Kind of like how Netflix begat dozens of other competitive streaming sites, giving way to unprecedented competition. The difference this season over previous seasons? Many of the teams vying for playoff contention play each other. We don’t have to approximate the quality of each participant. The Patriots play the Dolphins who play the Bears and Lions, who also play twice, etc. A whole bunch of crossovers there. New England created the league in its image, and the disciples became leaders in their own right. In 2018, anyone can win, and no statement can speak louder volumes to the benefit of this sport. Much to the delight of Roger Goodell and his continuous infamy. The Patriots run may not be completely over; but if it is, their legacy will echo forever.